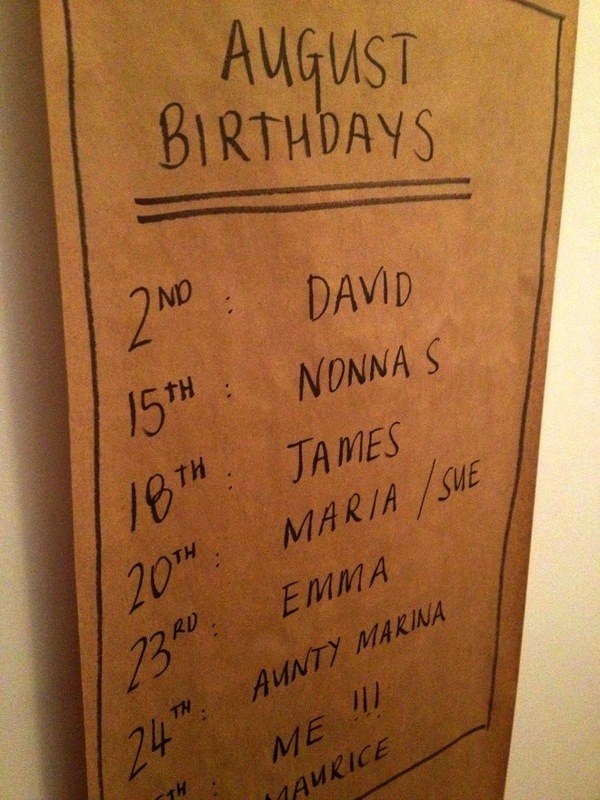 If you know me, you're no doubt aware that I have a slight obsession with kraft paper. I love its versatility - it can as easily dress up a Christmas present for a 3 year old as it can a present for an 80th. So, as any good obsession of mine goes, I tend to take it to the next level...I've had my eye on this little baby for quite a while. I used the Racka, curtain rod system from Ikea, cut down to size and here is the result. It is actually perfect as I can adjust it based on the size of the roll of paper that I buy. So, its not exactly the chic, matte black dispenser from George & Willy but I'm really happy with how it turned out and the $275 change I ended up with in my pocket ! 2. 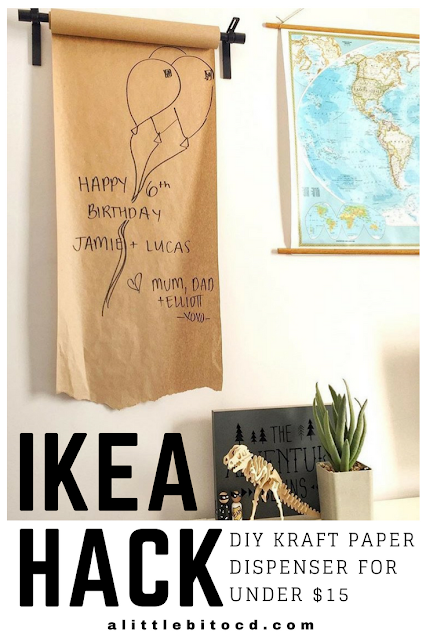 Disposable table cloth - coming to a party of mine soon ! Thank you for posting this! I have been eyeing the one from George & Willy, but cannot get myself to splurge! Is the Racka from Ikea the double curtain rod system? That is the only one I can seem to find. Also, where do you buy your paper? Is there a certain diameter that fits? Thank you! Hi Jodan, (sorry for the delay in replying!) Yes it is the double curtain rod system but I only used the single pole. 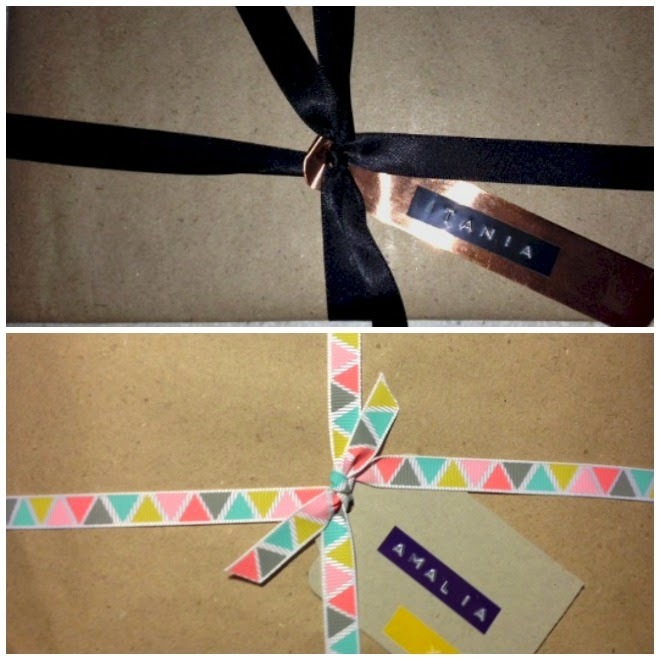 I bought the Kraft paper from an office supplied shop. 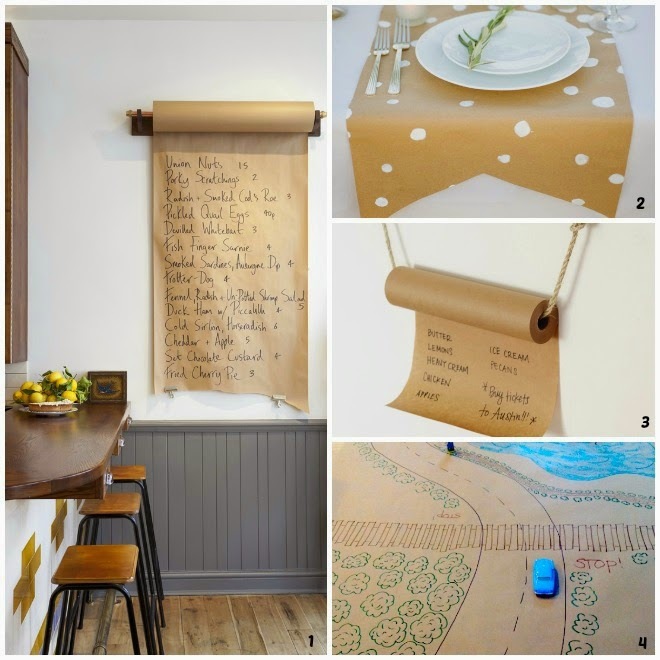 You just need to make sure that your rod fits through the hole of the Kraft paper. 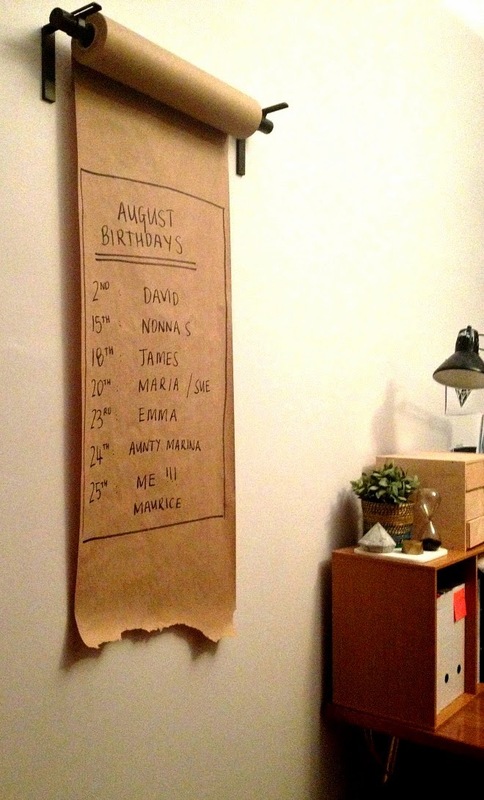 I got some kraft paper from Kmart and the rod didn't fit so I have to re-roll it on to the old roll. Not a major issue but not ideal. Goodluck! I've been meaning to do this! Yours looks great. I've been hesitating because I can't decide how wide it needs to be. Amazon seems to carry white or craft paper rolls in standard widths, usually 18" or 23" or so. I'm kind of thinking that, since this is for kids' art projects, the more wall coverage, the better. Regardless, the curtain rod will need to be trimmed down. Were you able to trim it with a hacksaw? LuckyDuck - you can trim a curtain rod with a pipe cutter. 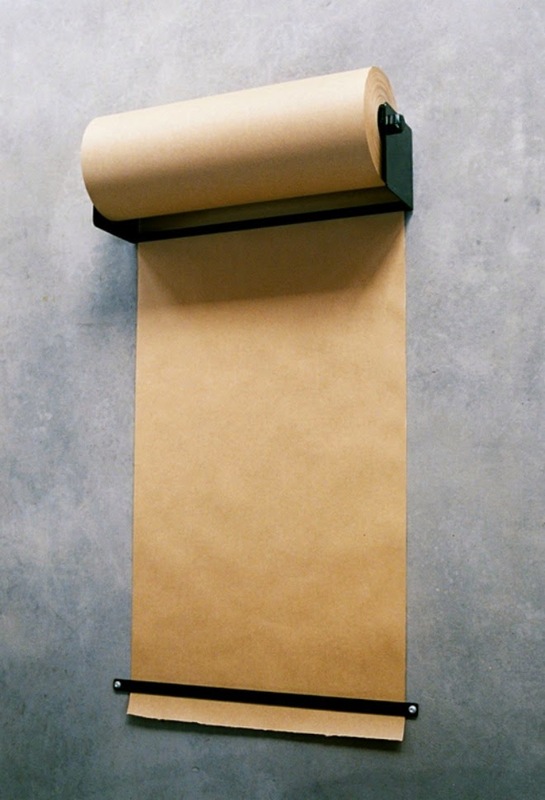 You can also buy kraft-ish paper at a local hardware store (like Home Depot, Lowes etc) in various sizes. It's in the paint section, used for masking off areas from paint overspray. LOVE this! Adding it to my preschool program with a clear plastic shower curtain in back of it. Saves lots of space.